Coordinator of Private Schools, Doodmattie Singh. Minister of Education, Dr. Rupert Roopnaraine has announced that a Coordinator of Guyana’s Private Schools has been appointed to regulate the involvement of these essential stakeholders in the education system. This appointment also gives the private school operators an opportunity to make a structured contribution to the management and enhancement of the education system, Minister Roopnaraine said. Speaking at the launch of Education Month, the Minister pointed out that, more private schools are entering the education sector. 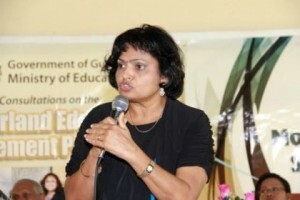 “Given the quintessential role that education plays in human and societal development, and given the Government’s mandate to regulate the affairs of the society, it is incumbent on the Ministry to ensure that private schools are facilitated in the delivery of education and that they are regulated to assure the society of their relevance and the provision of quality service,” Minister Roopnaraine added. Former Deputy Chief Education Officer (Development) Doodmattie Singh, with responsibility for development, is the new Coordinator of Private Schools. Singh who has spent 34 years of her life as an educator holds a Bachelor’s Degree in Education – Teaching and Administration (Primary), and a Master of Arts Degree in School Management. But, the private schools are not the only stakeholders that the Ministry is seeking to get to embrace their role as the participants and benefactors of the education system. Minister Roopnaraine said the Ministry’s other recent appointment of a Coordinator of Parent Teachers’ Associations (PTAs) will get the parents, who are also crucial stakeholders to engage their children and the education system. 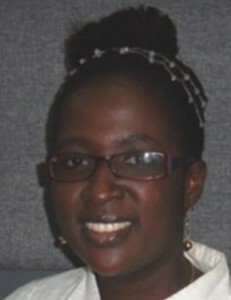 Former Queen’s College Principal, Nadia Hollingsworth is the new PTA Coordinator. Hollingsworth has a Master’s of Education in Educational Leadership and Administration, General. Coordinator of Parent Teachers Associations. Recently the Ministry of Education has been working to reinforce in education stakeholders, that they are beneficiaries of the education system and should have an interest in the state of the system and its ongoing growth, development and impact on society.